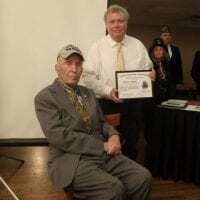 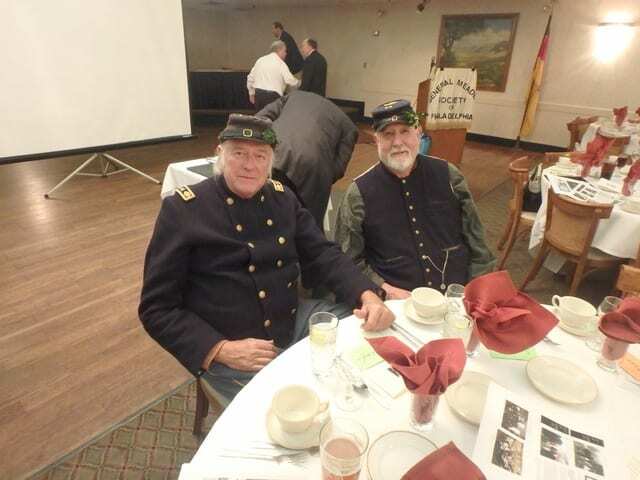 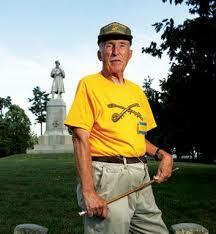 On October 28th members of the Civil War community gathered at the Cannstatter Volksfest Verein to honor the man held in highest esteem for his service to the country, tireless advocacy of the battlefield preservation and knowledge and promotion of Civil War history, Edwin Cole Bearss, Chief Historian Emeritus of the National Park Service. 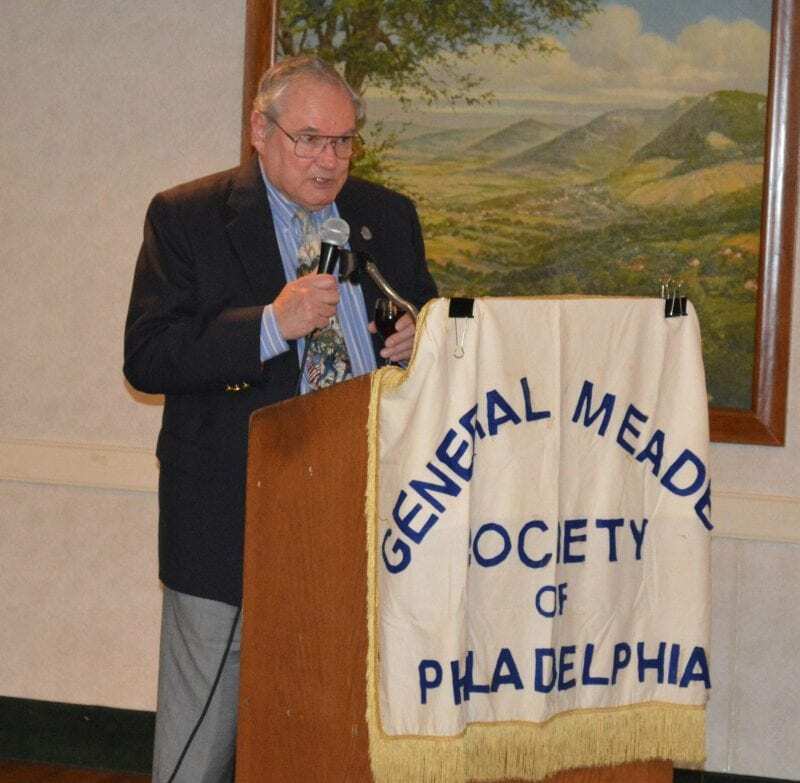 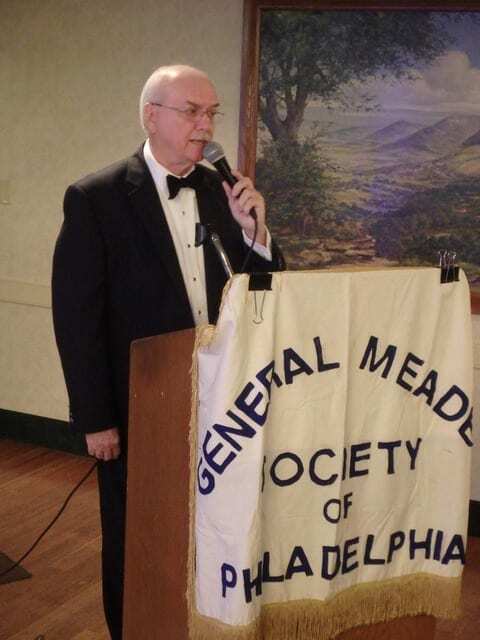 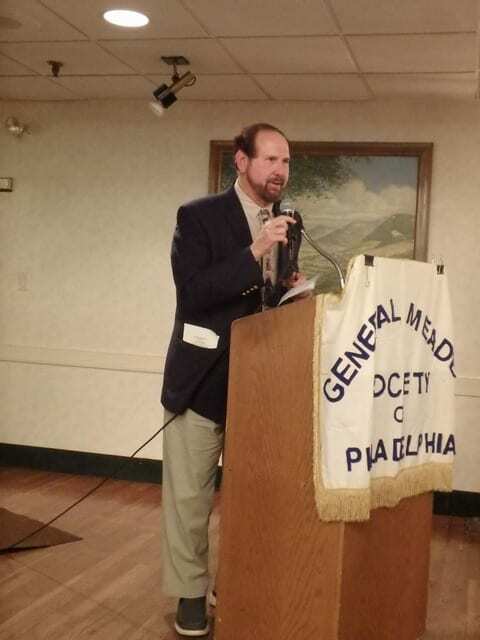 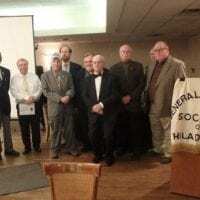 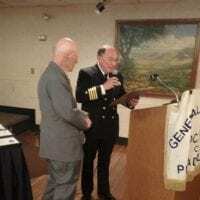 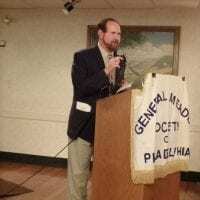 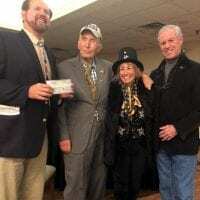 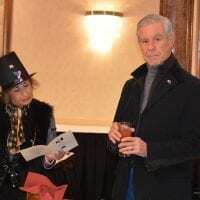 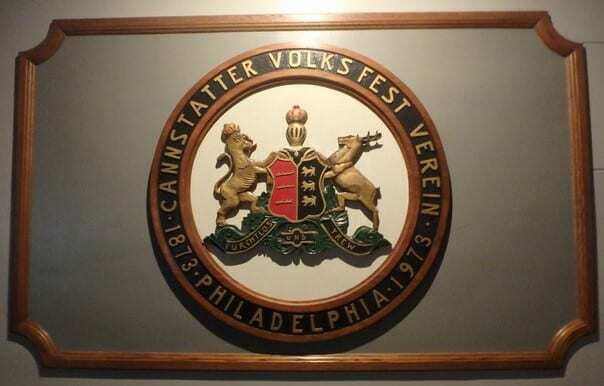 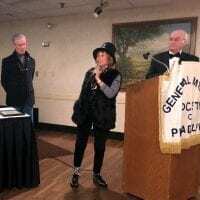 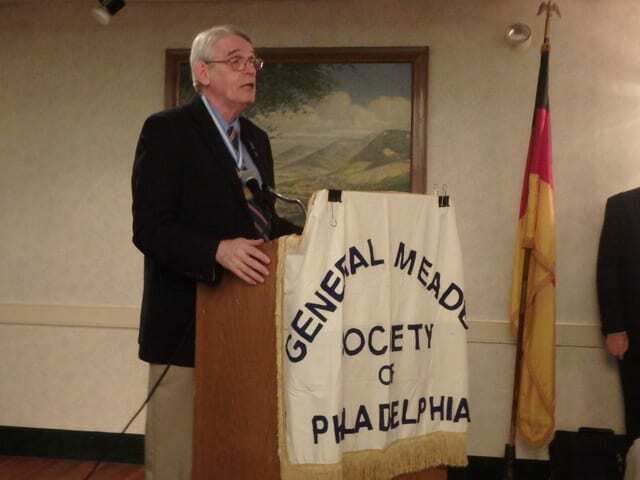 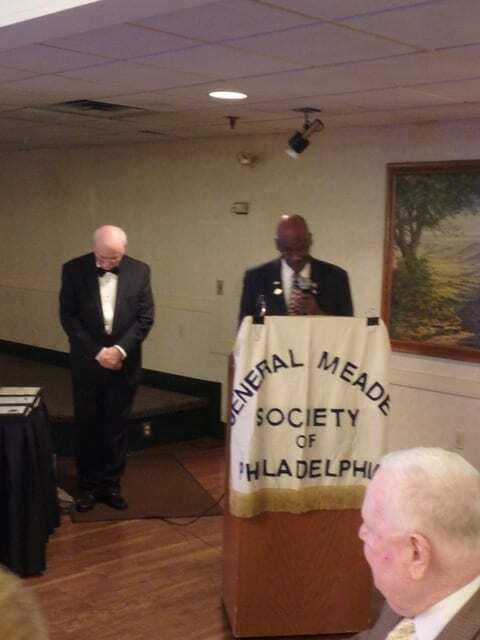 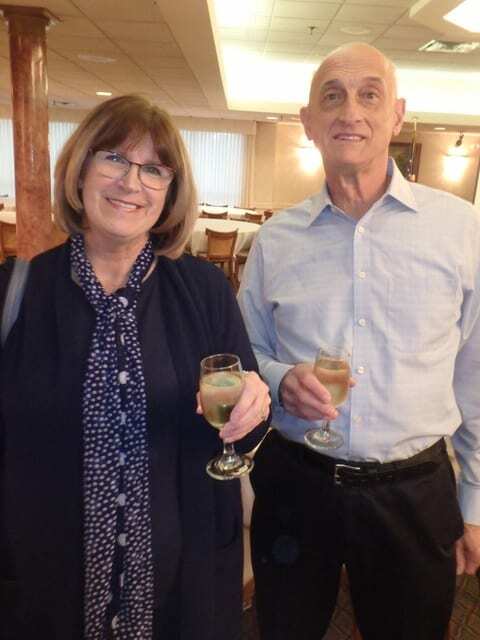 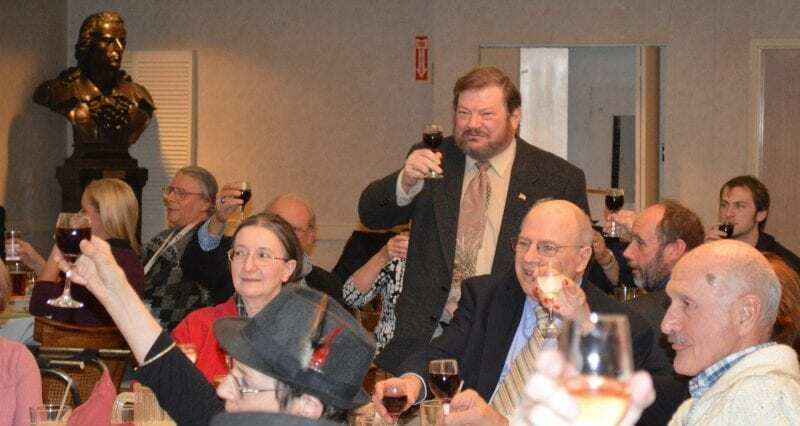 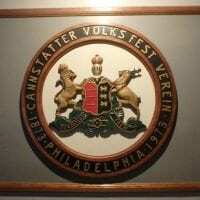 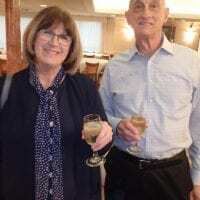 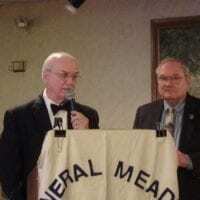 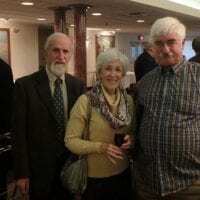 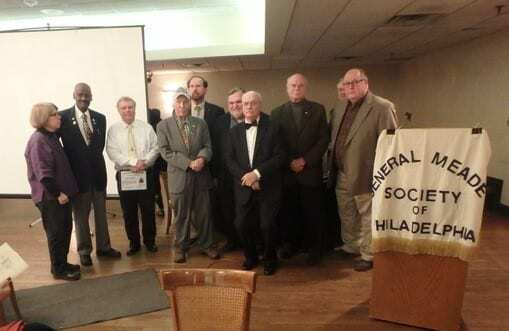 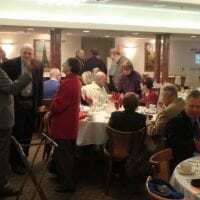 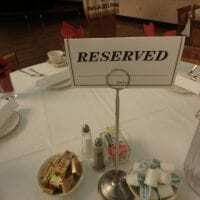 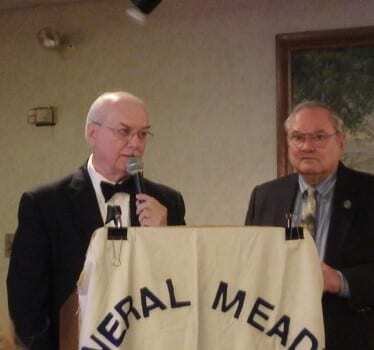 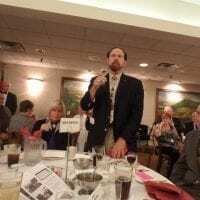 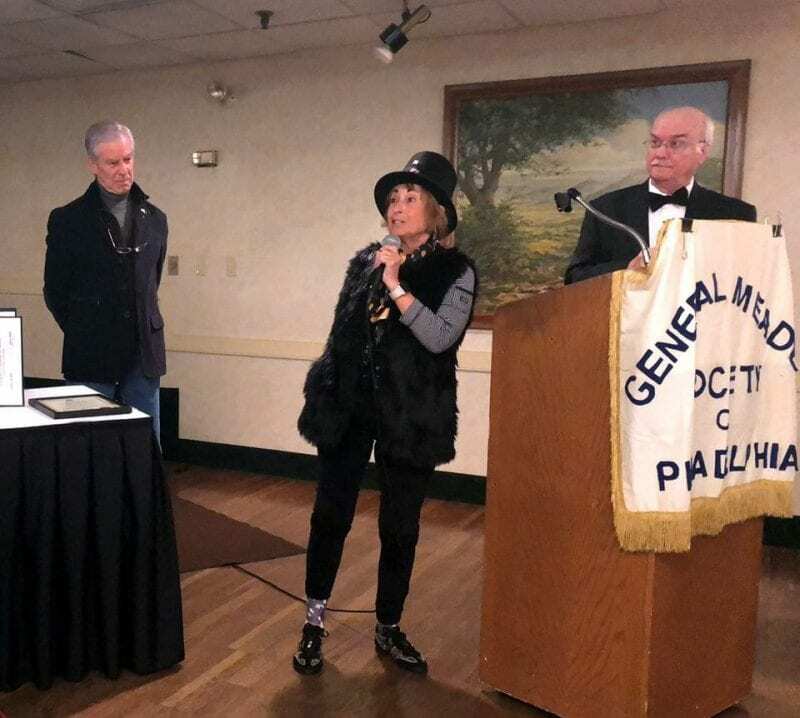 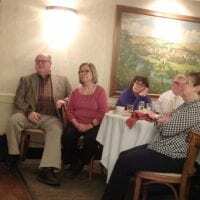 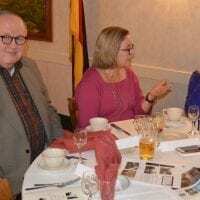 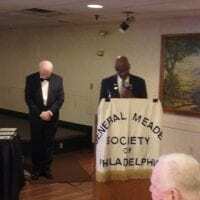 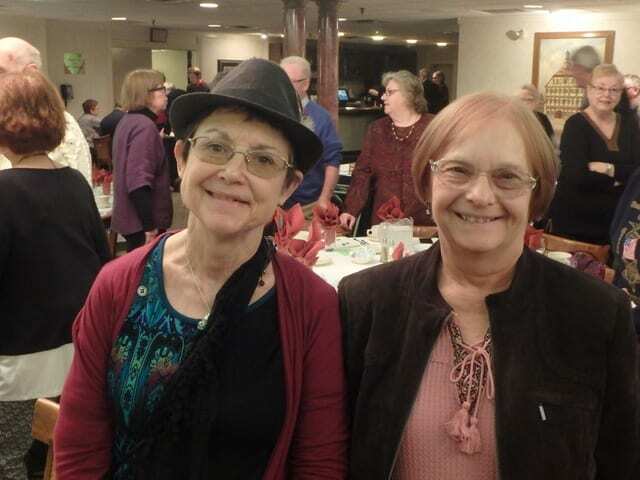 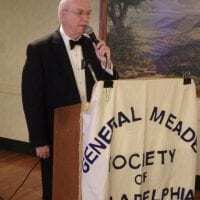 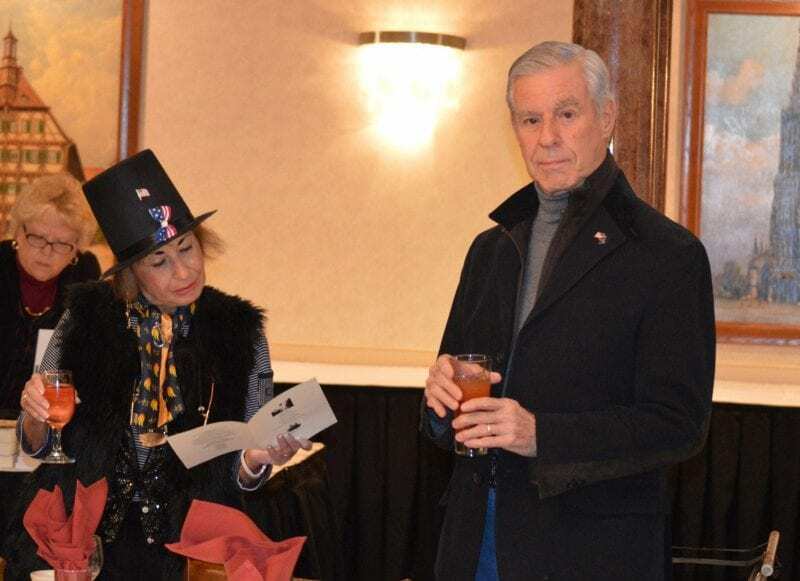 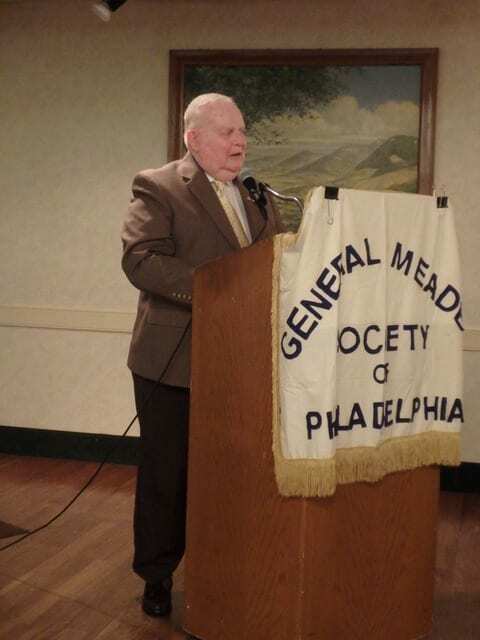 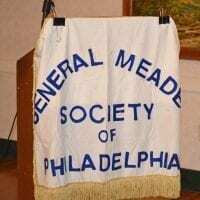 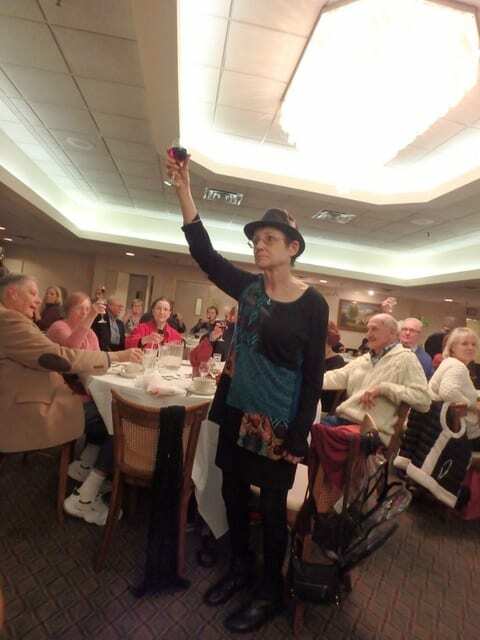 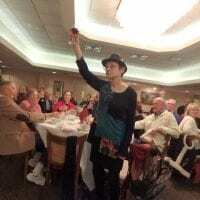 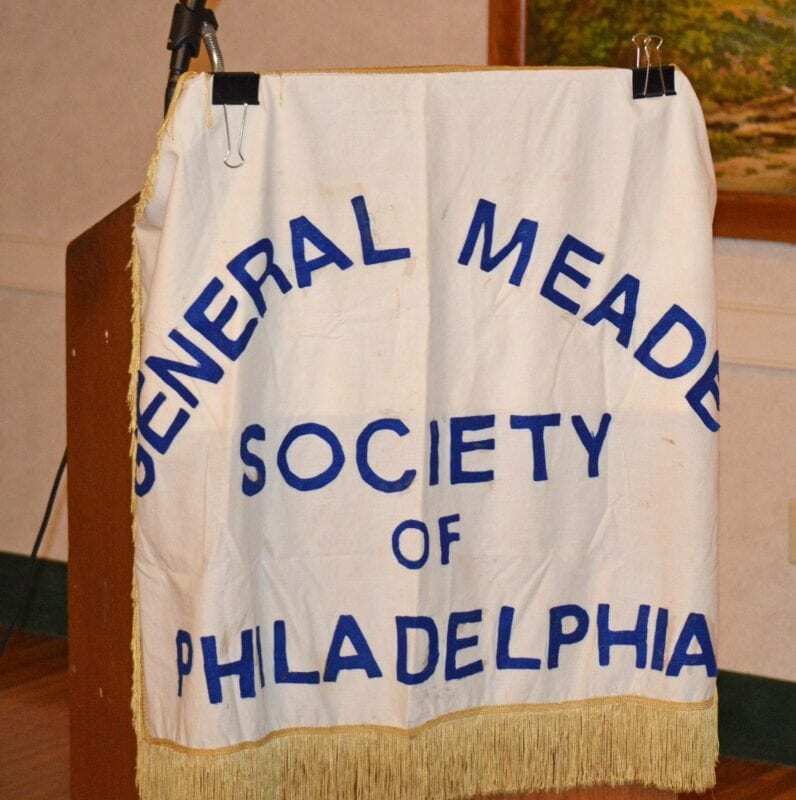 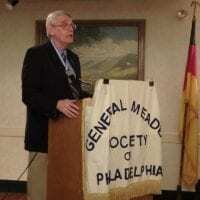 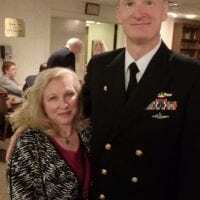 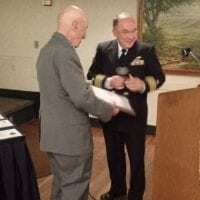 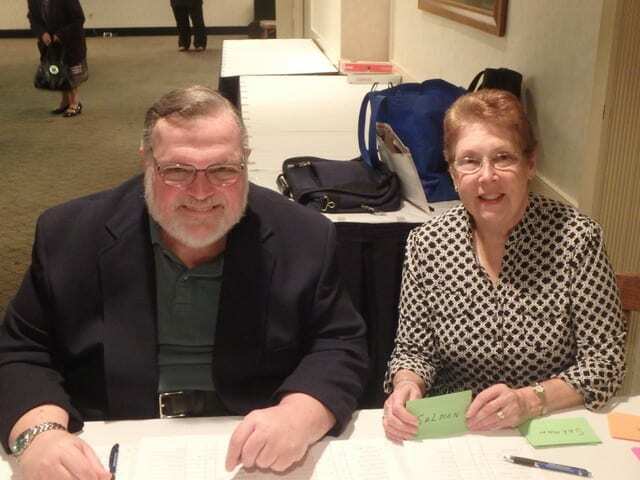 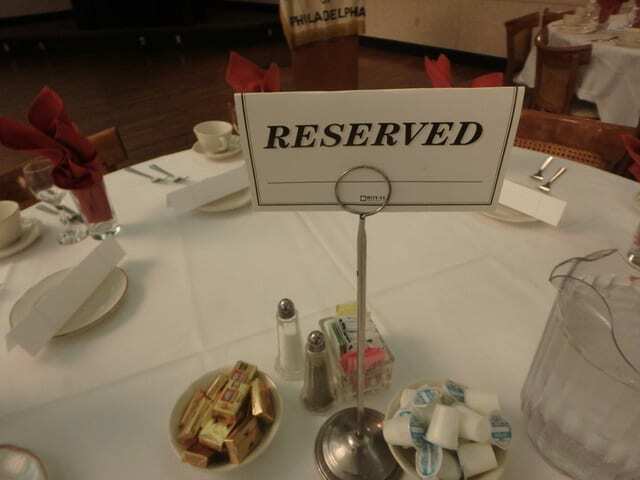 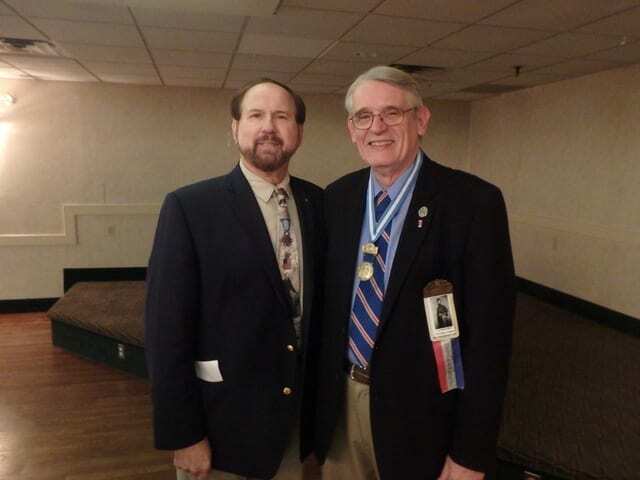 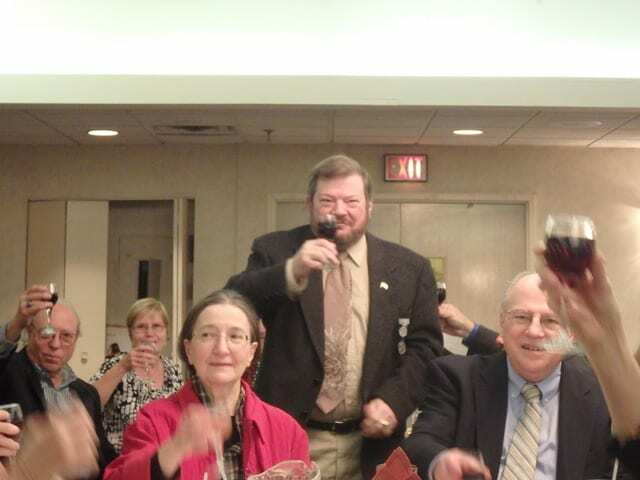 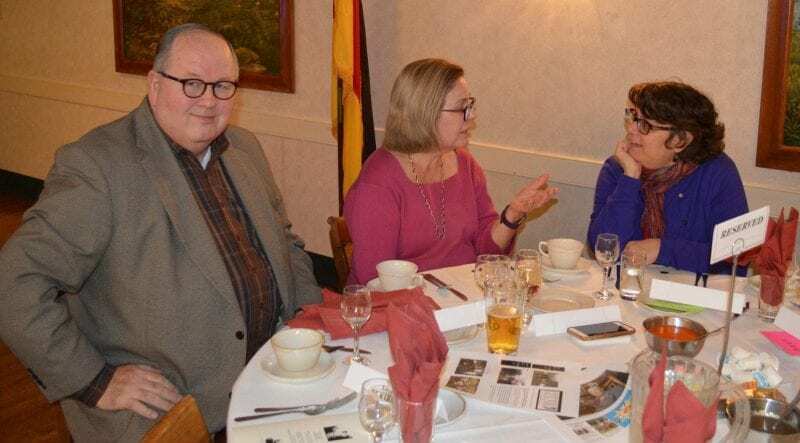 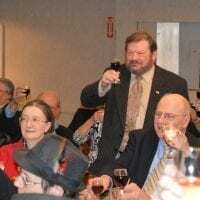 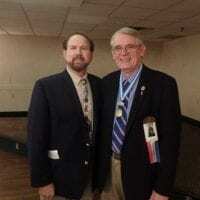 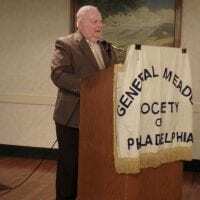 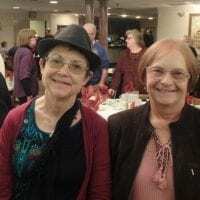 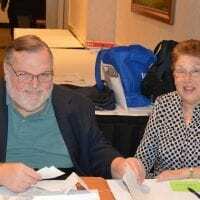 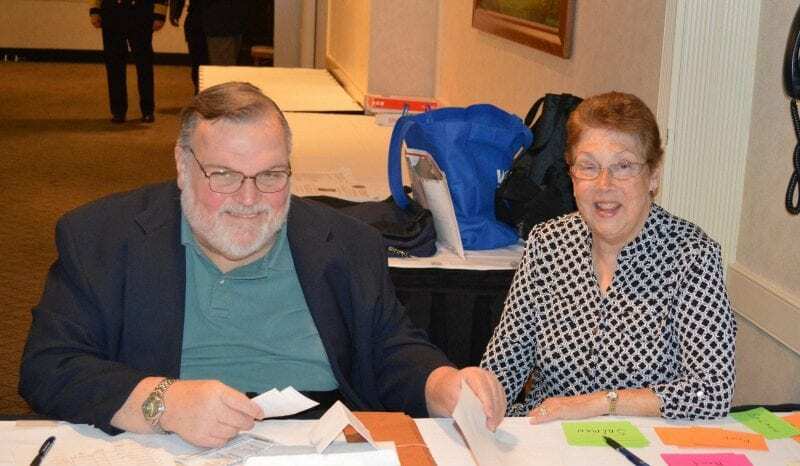 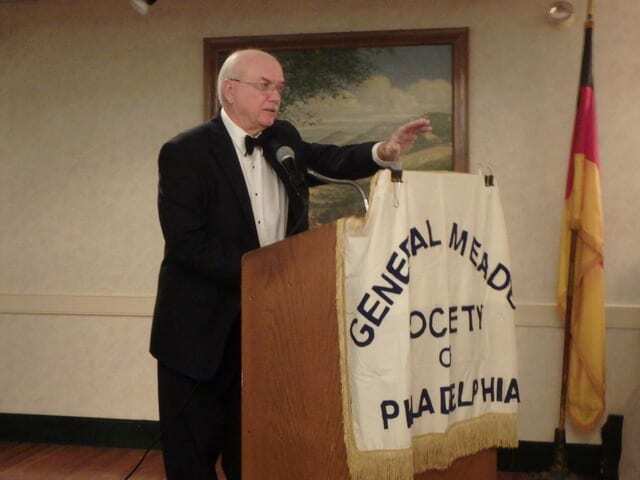 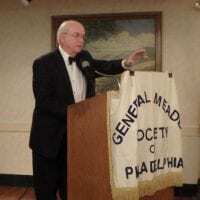 Sponsored by the General Meade Society of Philadelphia, the event drew seventy-six enthusiastic supporters to toast the great man’s achievements. 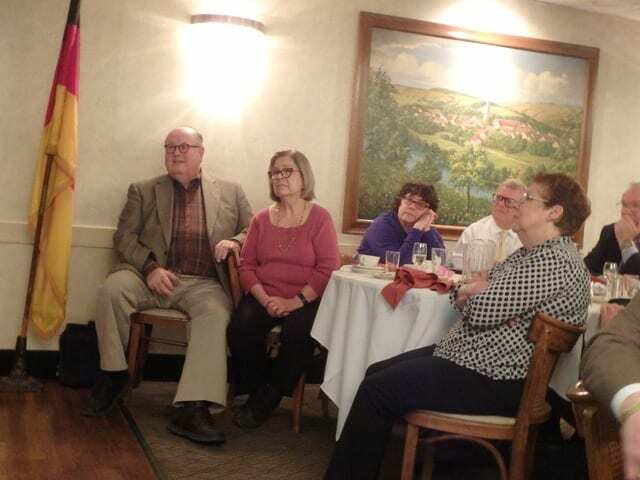 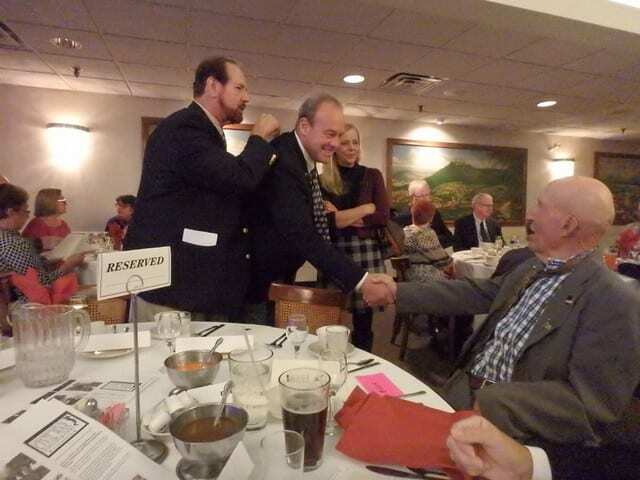 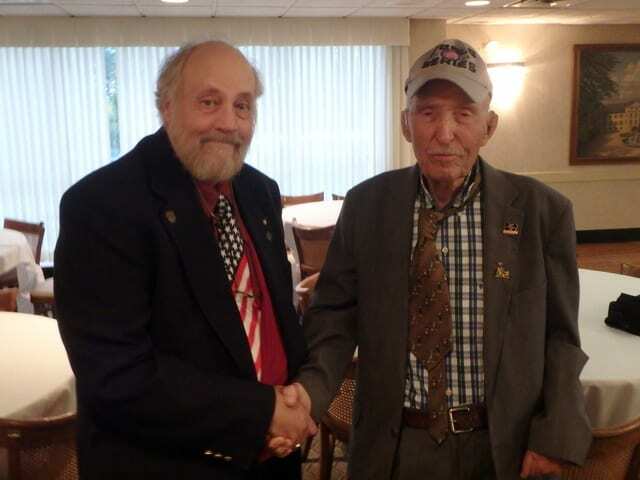 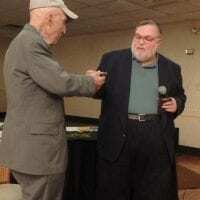 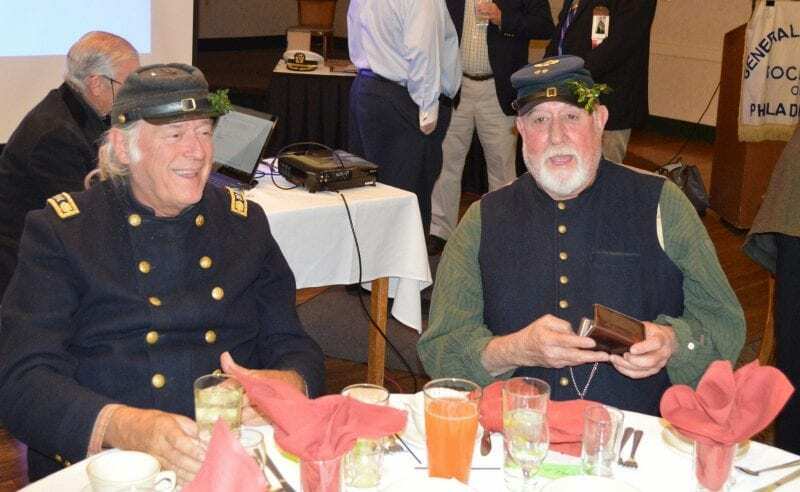 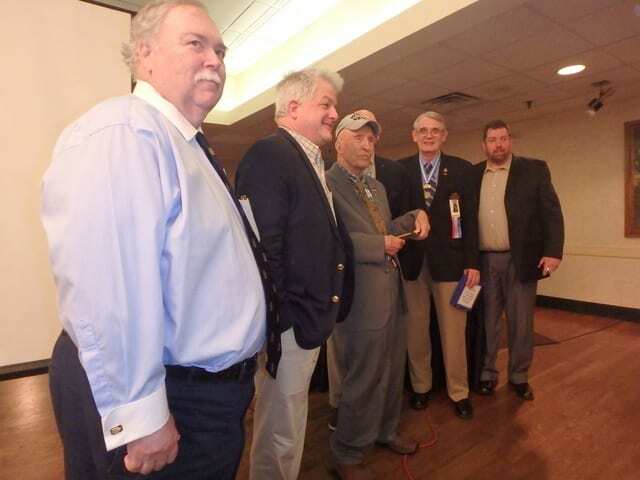 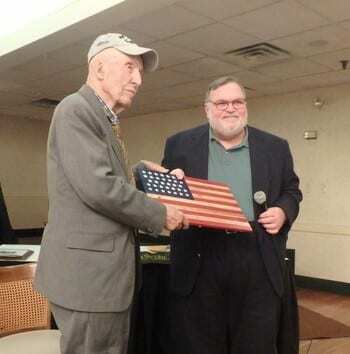 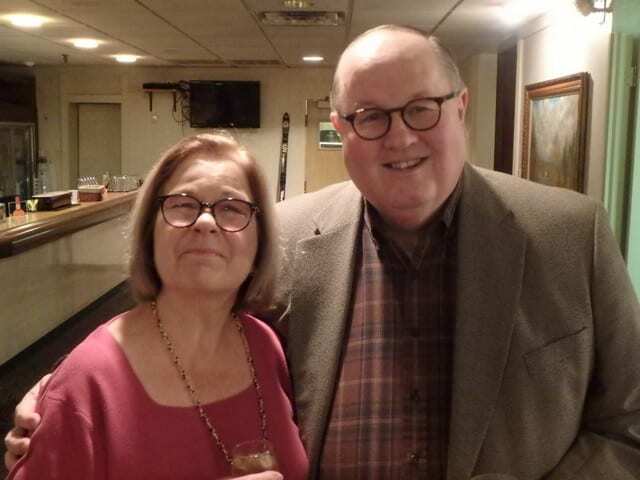 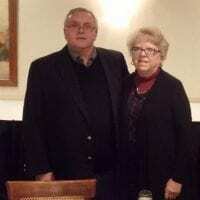 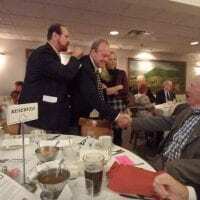 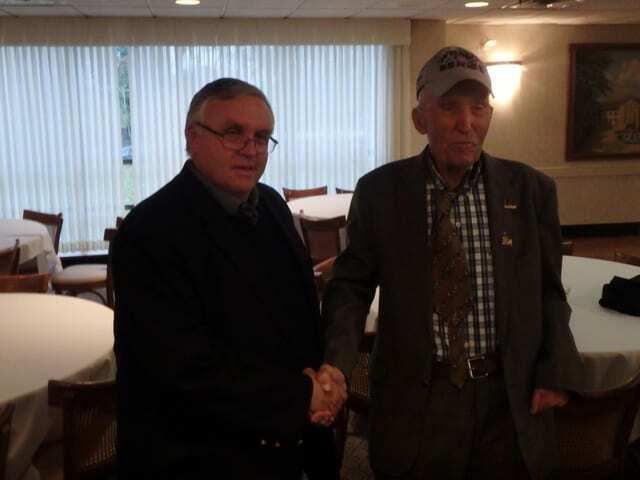 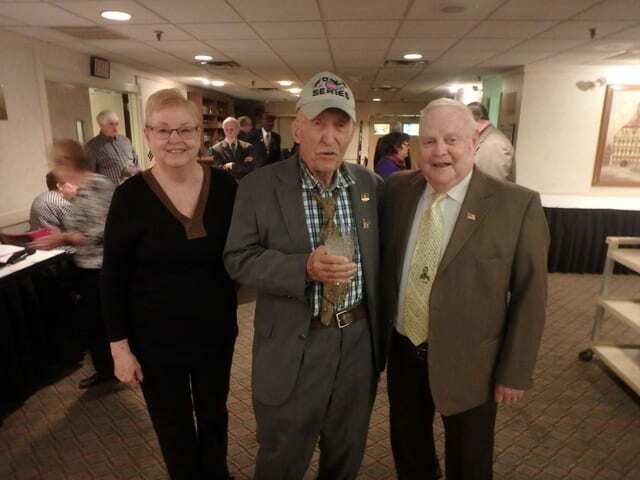 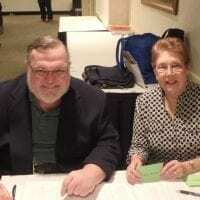 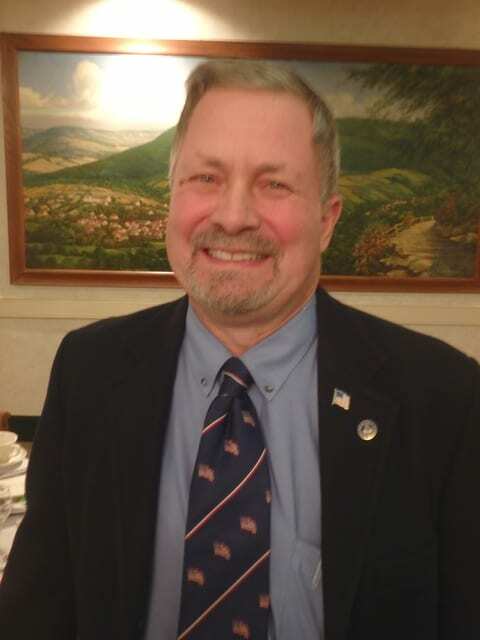 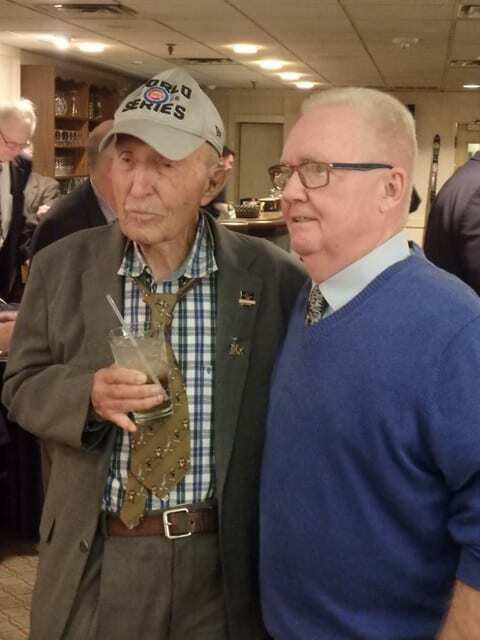 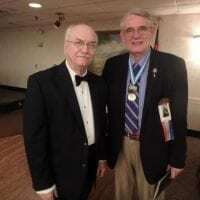 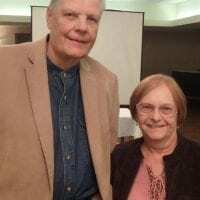 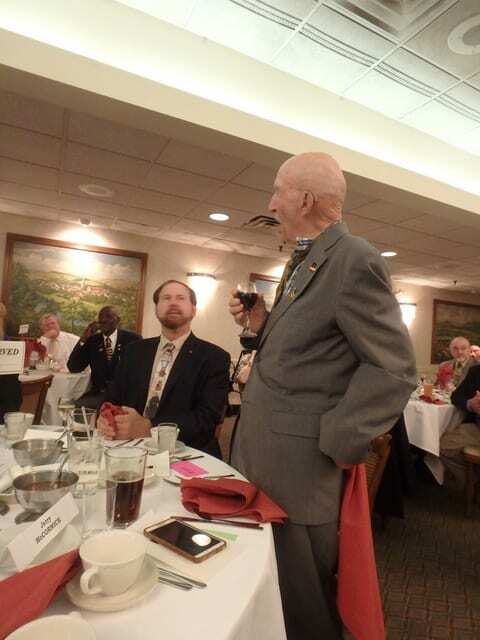 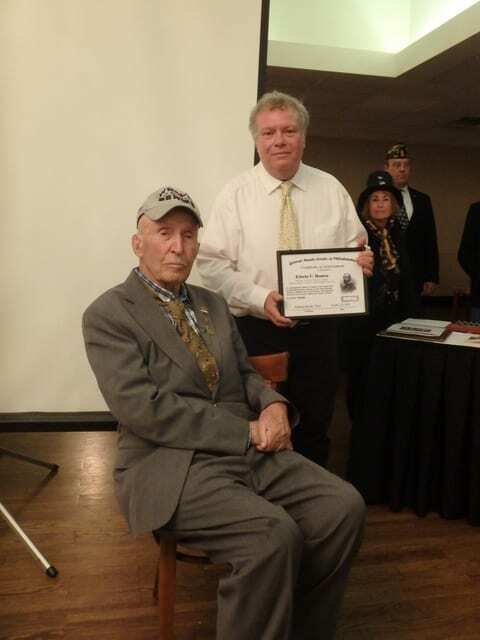 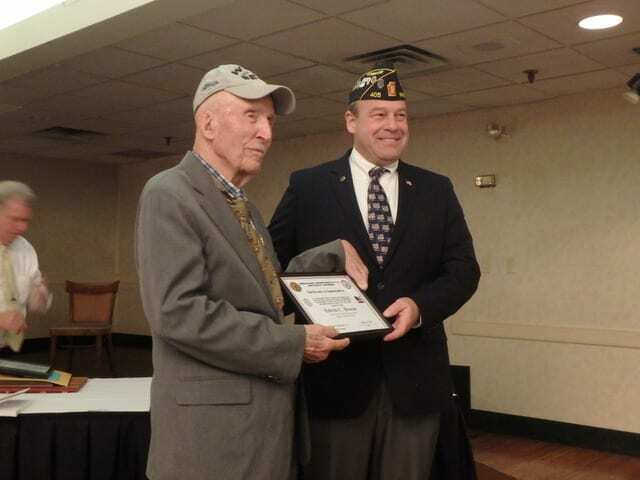 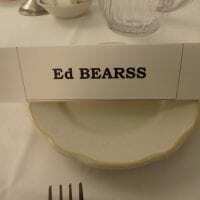 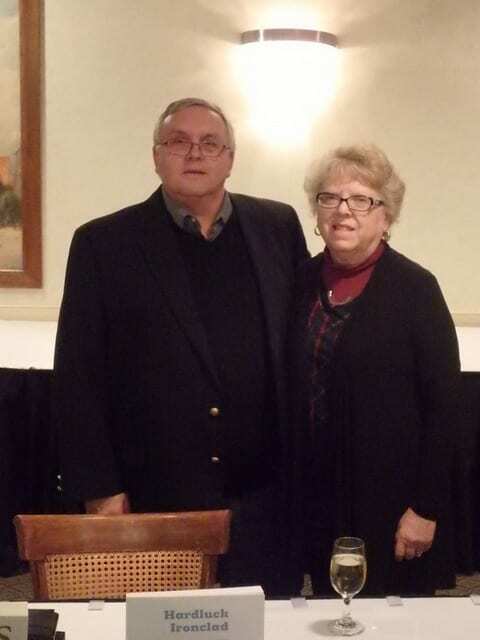 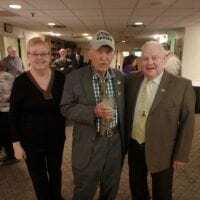 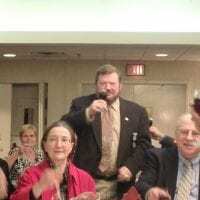 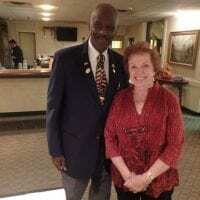 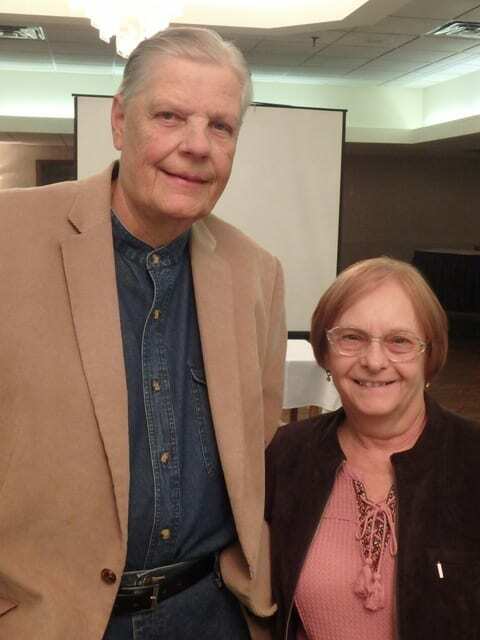 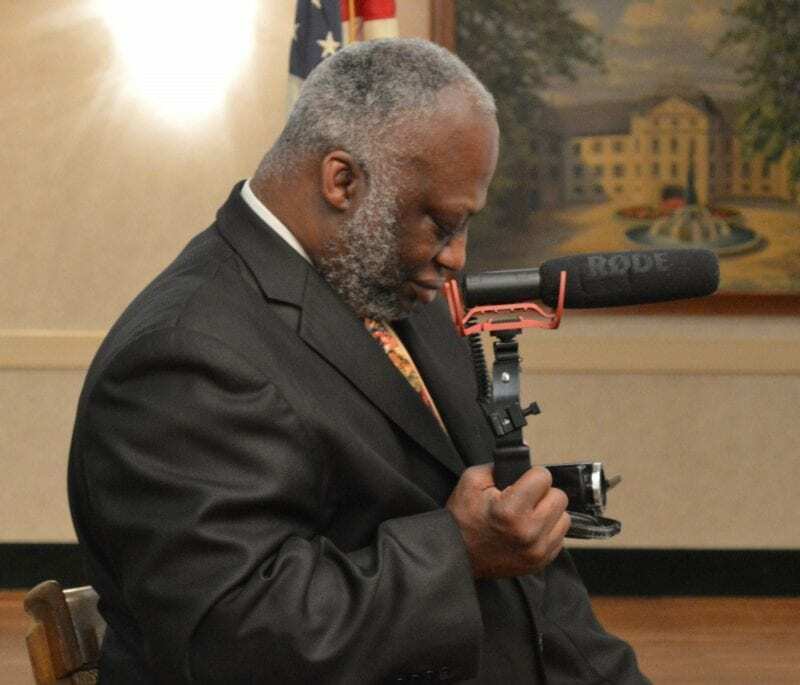 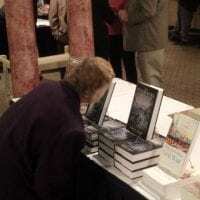 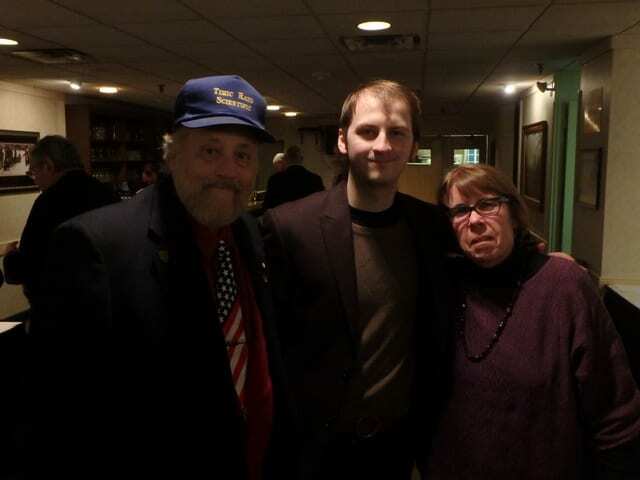 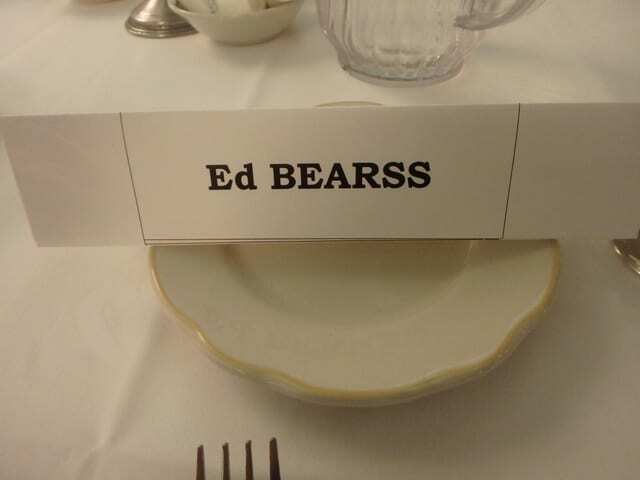 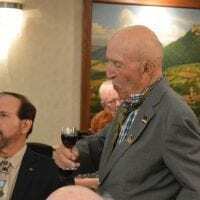 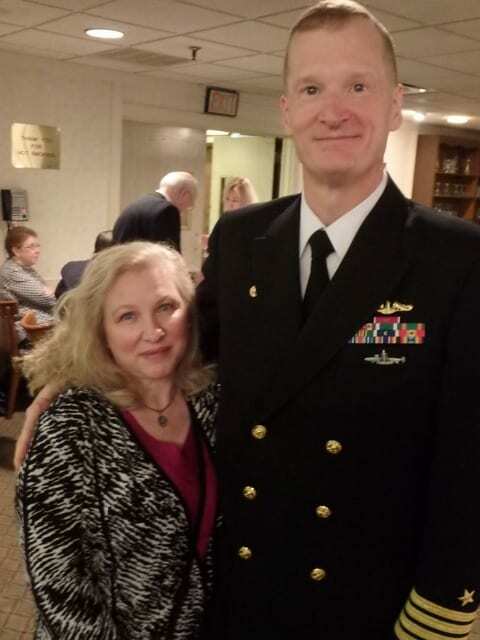 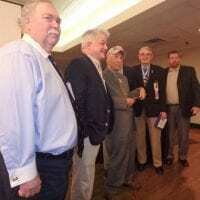 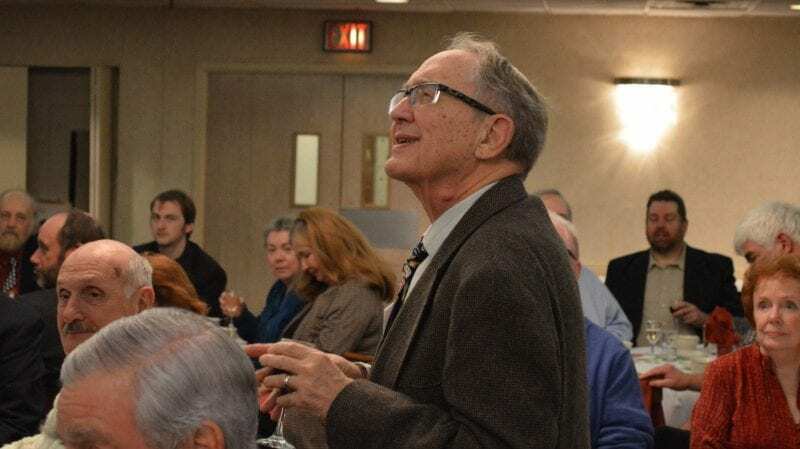 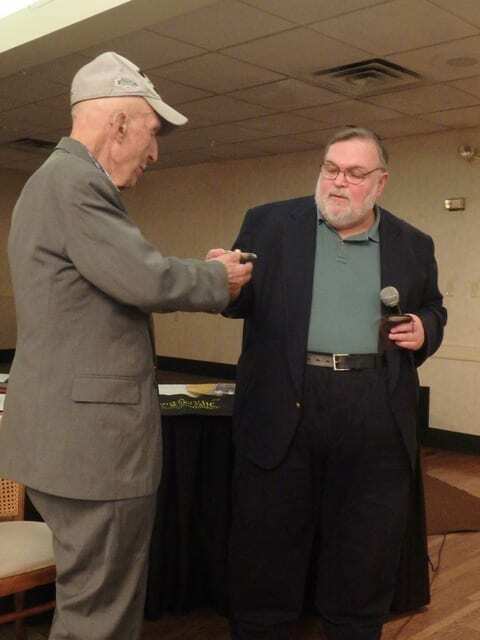 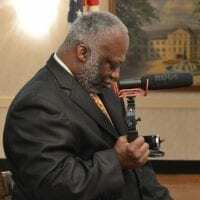 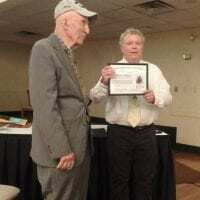 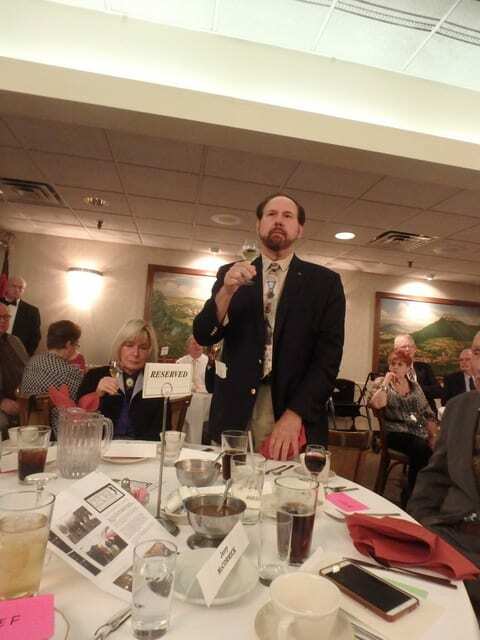 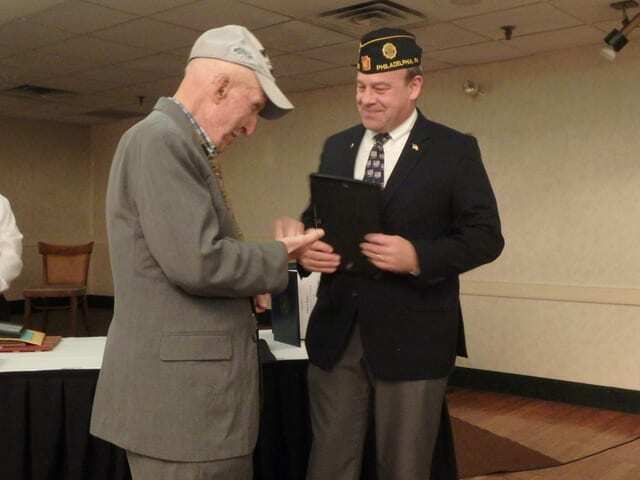 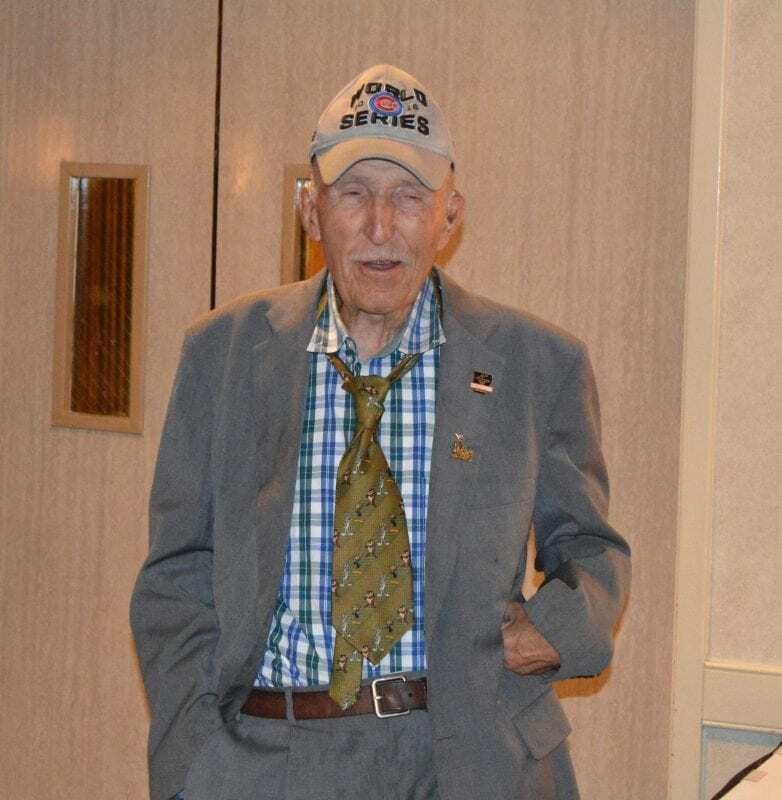 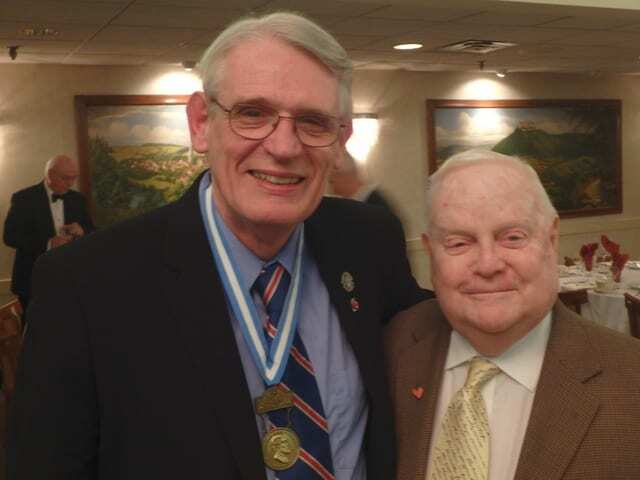 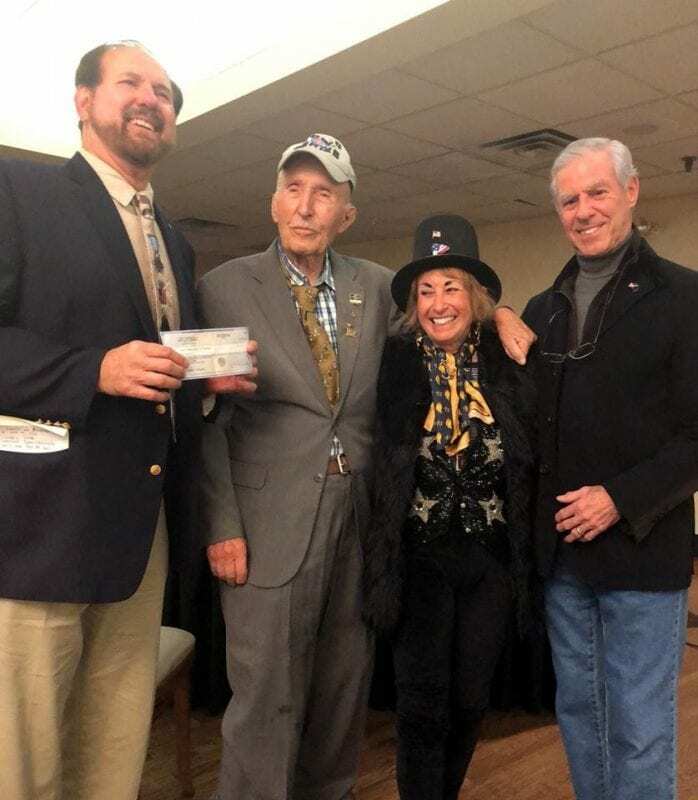 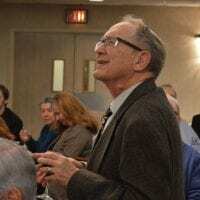 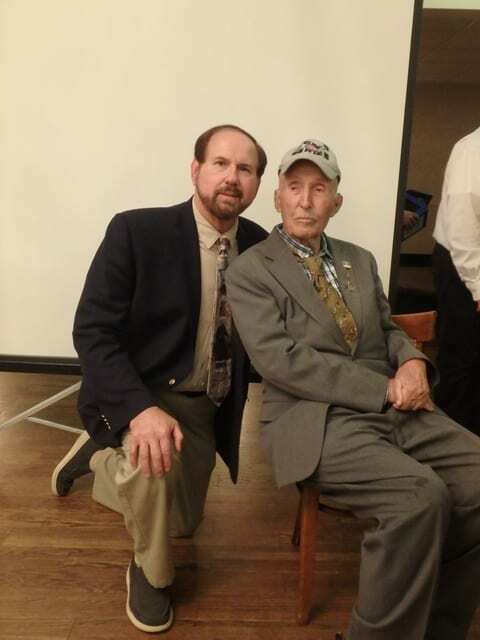 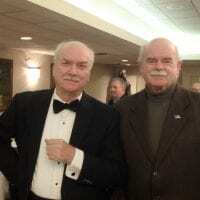 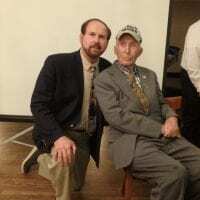 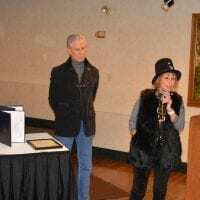 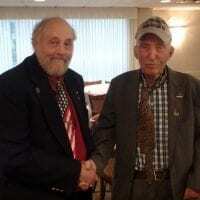 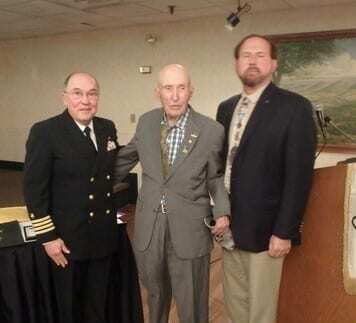 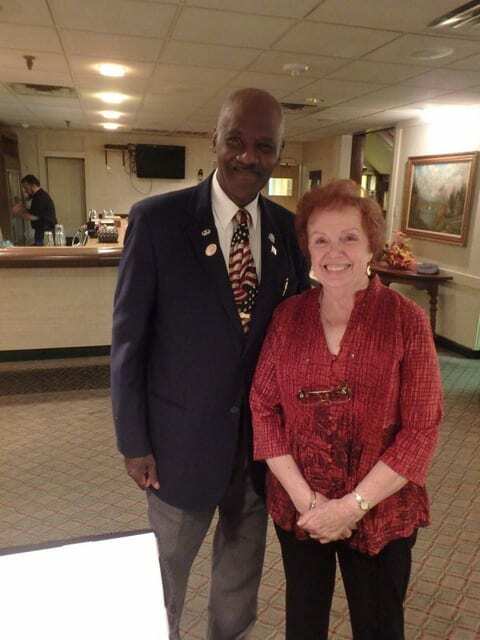 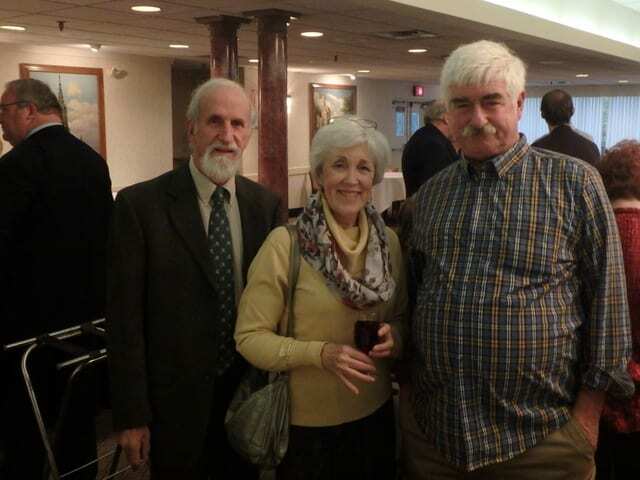 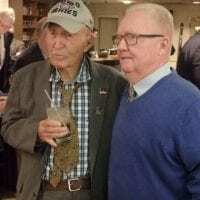 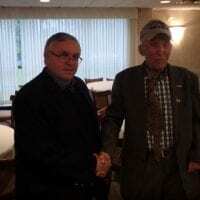 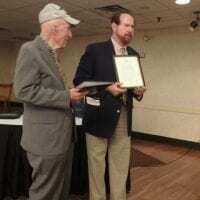 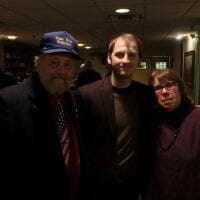 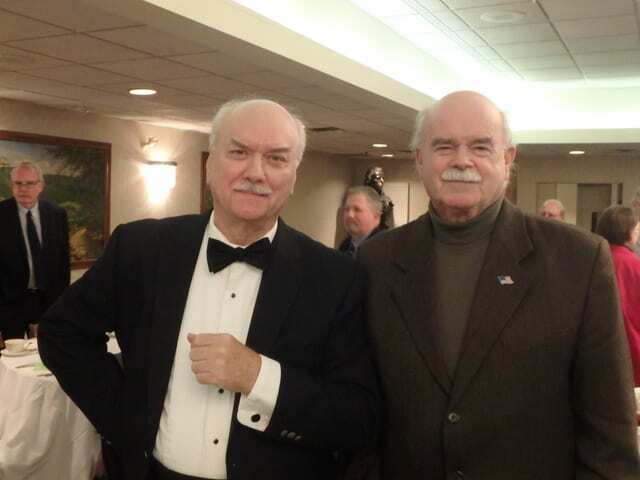 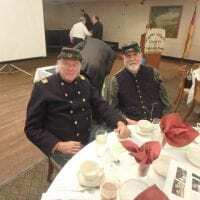 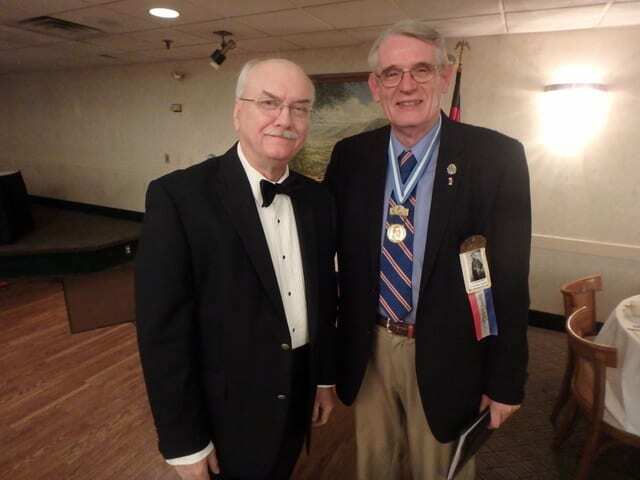 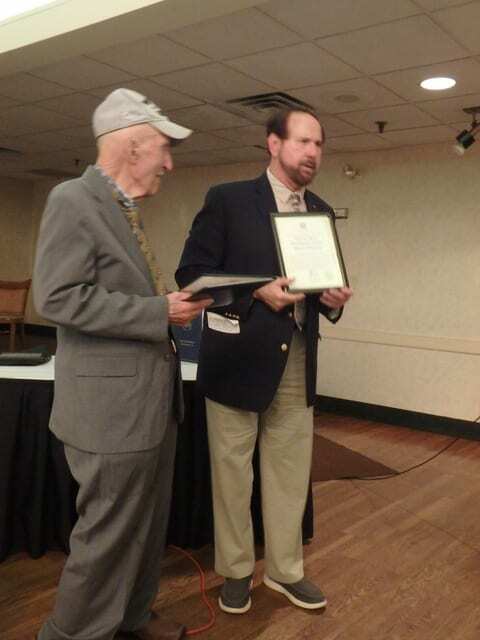 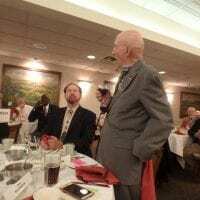 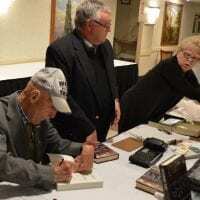 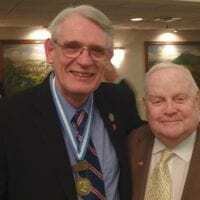 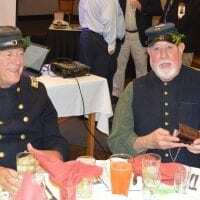 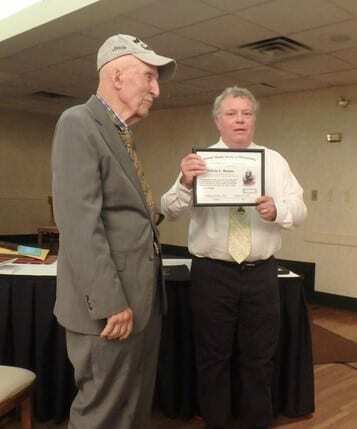 The evening’s officiants and audience shared anecdotes and toasted the man whose presence on battlefield tours and encyclopedic knowledge of the personages of the Civil War are legendary. 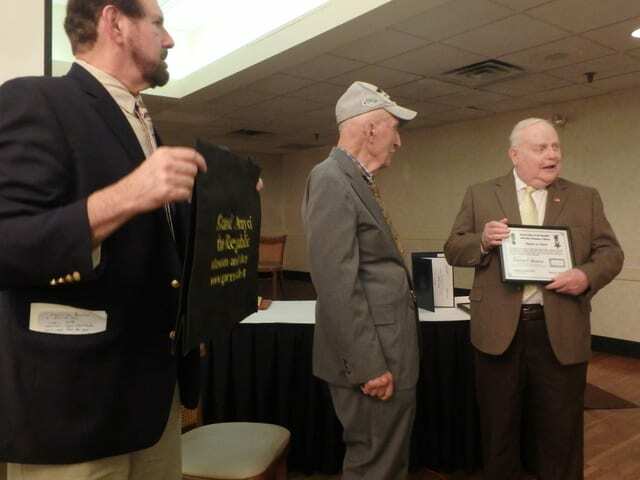 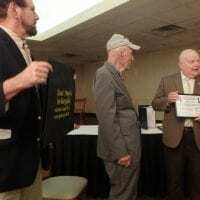 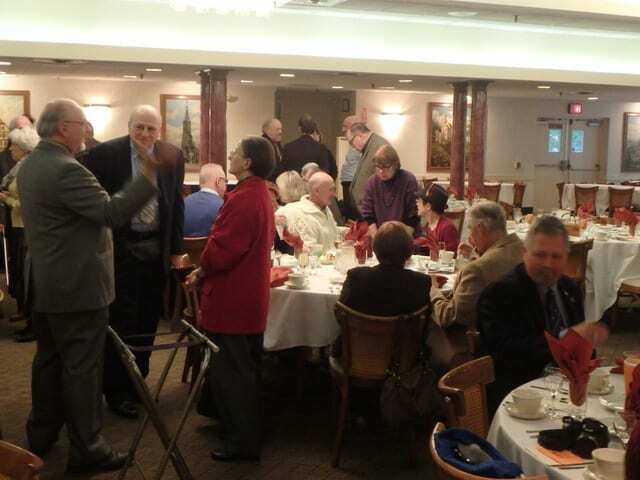 Several plaques, many awards, and memorabilia were presented in the course of the evening. 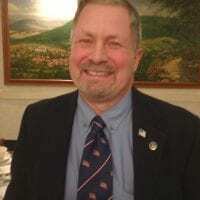 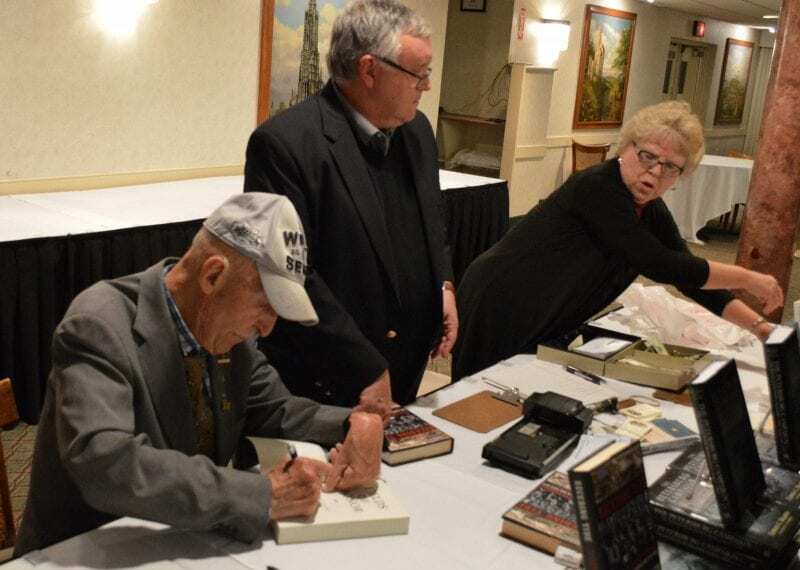 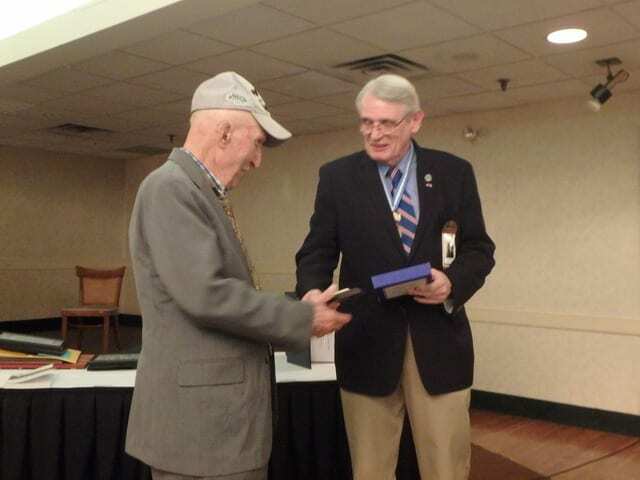 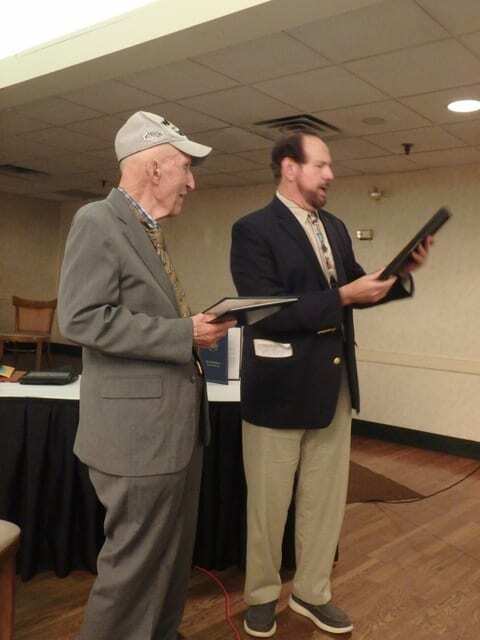 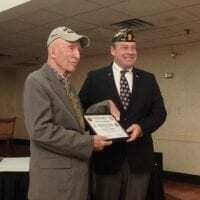 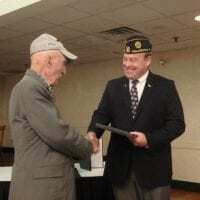 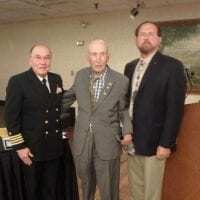 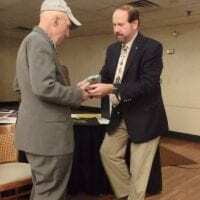 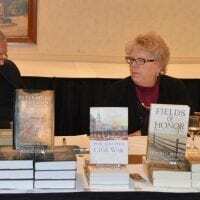 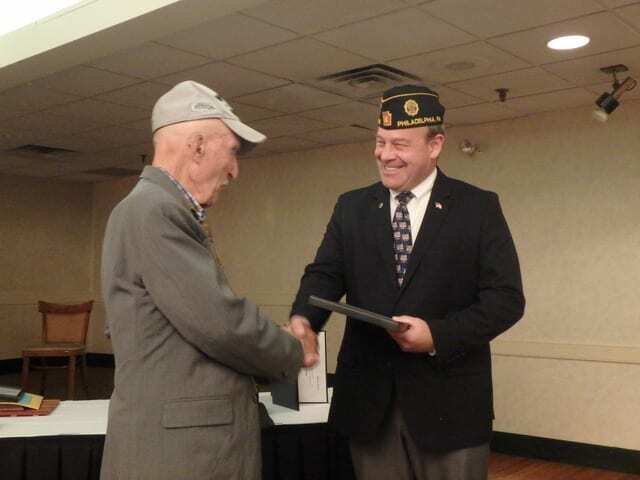 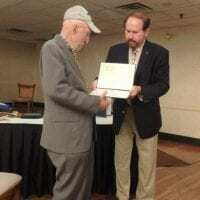 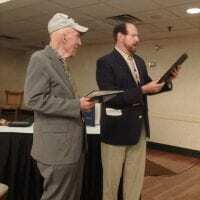 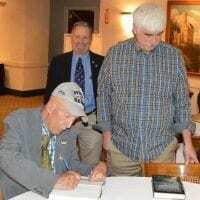 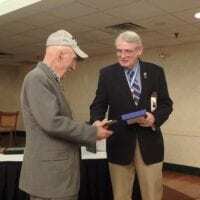 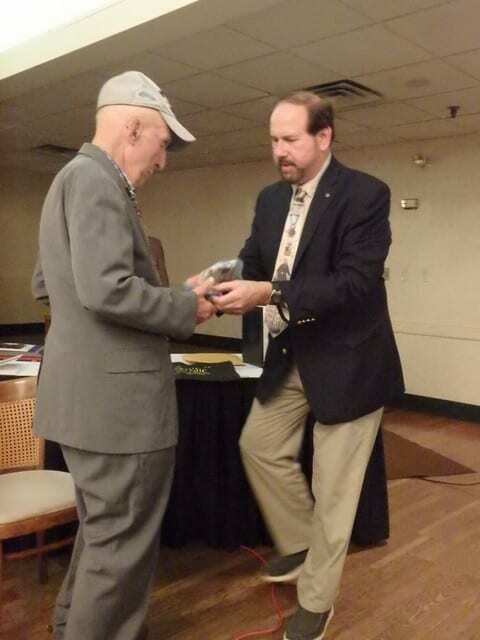 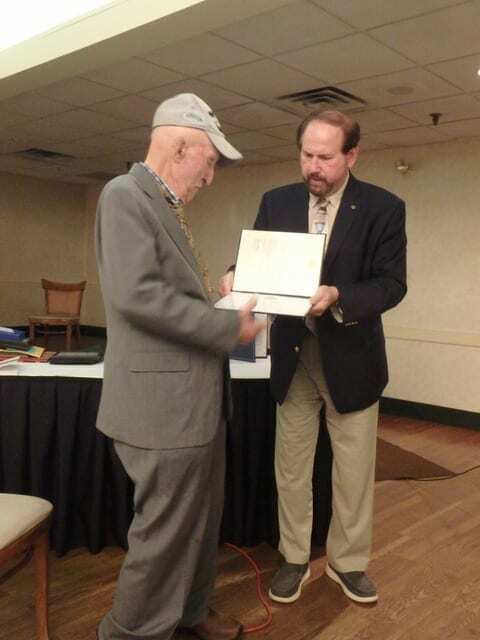 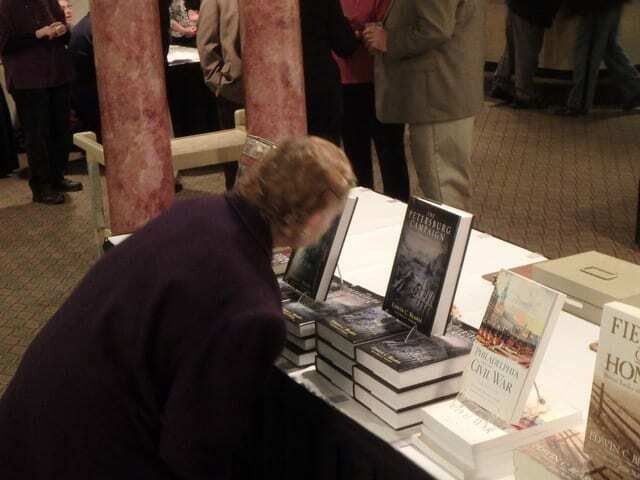 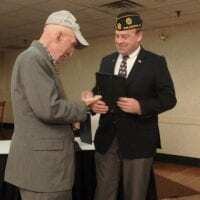 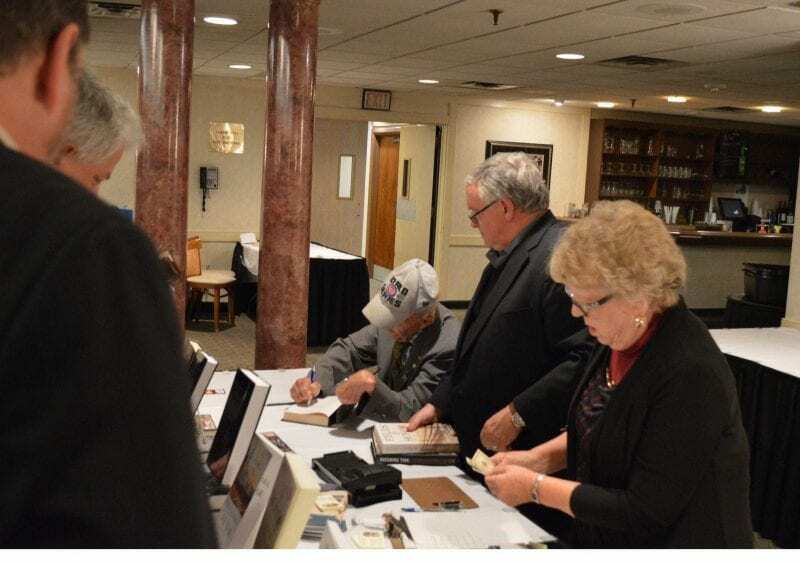 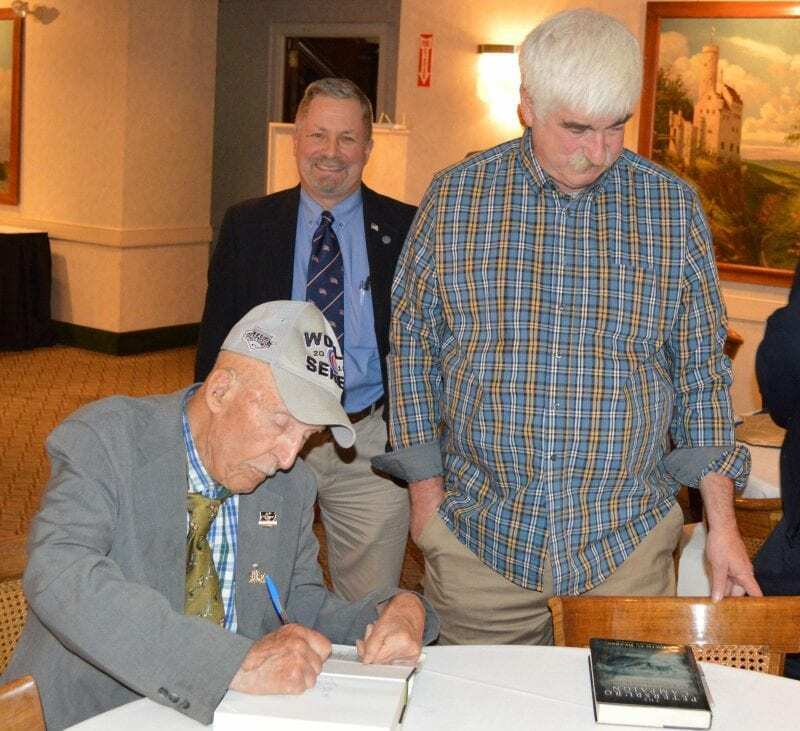 In his typical manner, Mr. Bearss contributed his comments and experience on battlefield events and on General George Gordon Meade and graciously signed his books for the admiring readers. 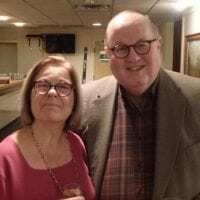 CLICK IMAGE FOR SLIDESHOW ….